A car fire on the I-17 frontage road was allegedly caused by a DUI suspect who collided with a guardrail. PHOENIX — A car fire on the I-17 frontage road was allegedly caused by a DUI suspect who collided with a guardrail. The Department of Public Safety reports that around 4 a.m. on April 7, troopers were dispatched to a car fire on the frontage road near 19th Avenue and Durango Street. The driver of the car, 22-year-old Karla Leyva Rabago, was reportedly traveling southbound on Durango toward 19th Avenue when she went off the road trying to round the curve. 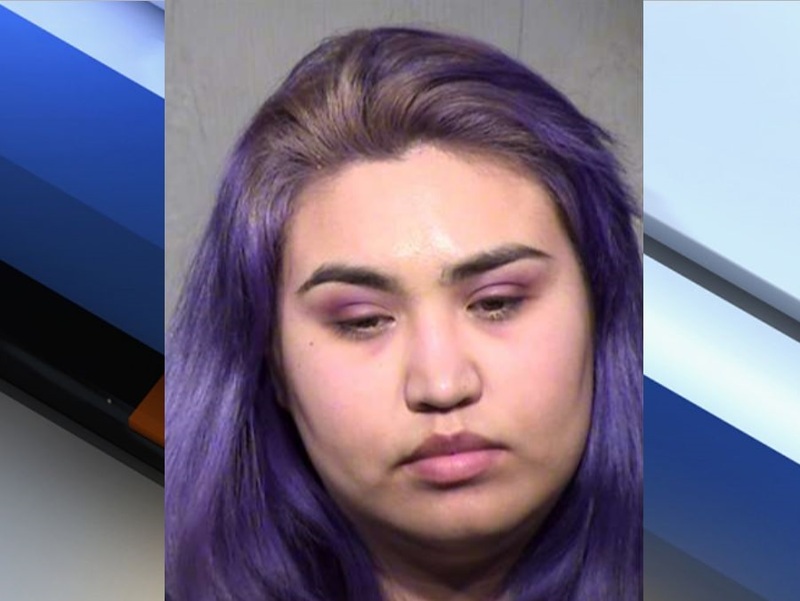 According to court documents, she struck the guardrail, spun around, then continued to drive the wrong direction back towards Interstate 17. The damaged car caught fire, but Rabago escaped from the wrecked vehicle. Court records show her B.A.C. level to be .204, over twice the legal limit. DPS says Rabago was driving on a suspended license. Rabago has been charged with aggravated DUI.